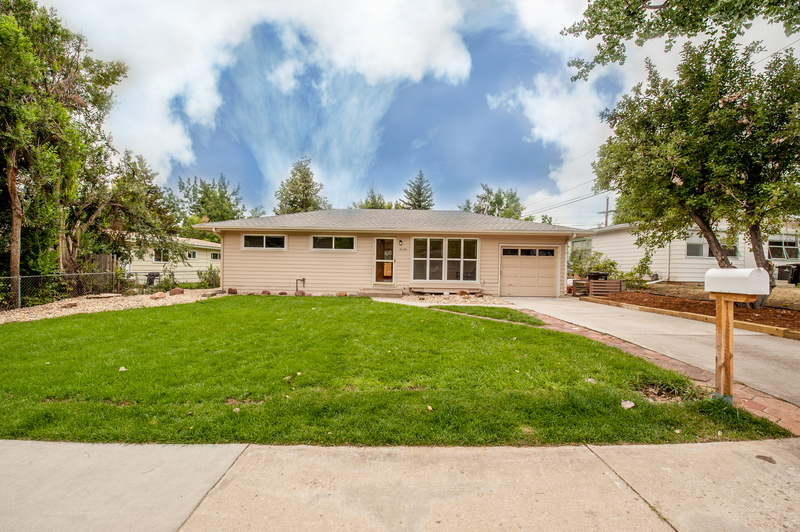 Mid-century remodeled ranch home with new kitchen and bathrooms. Slab granite counter-tops, stainless steel appliances, newly refinished hardwood floors and limestone enriched luxury kitchen tile.Euro-style bathroom with Tahitian porcelain tile and crystal clear shower doors for a 5 star hotel look. Newly landscaped yard with automatic sprinkler system and built-in flagstone BBQ pit. Spacious deck and large private backyard. Double pane windows for energy efficiency. Floor to ceiling windows in living room lets in lots of light. Plenty of storage in garage and shed.Full size Washer Dryer. One block to RTD bus stop and bike path.One mile to CU. Available August 2019. Maximum permissible unrelated occupancy is 3.